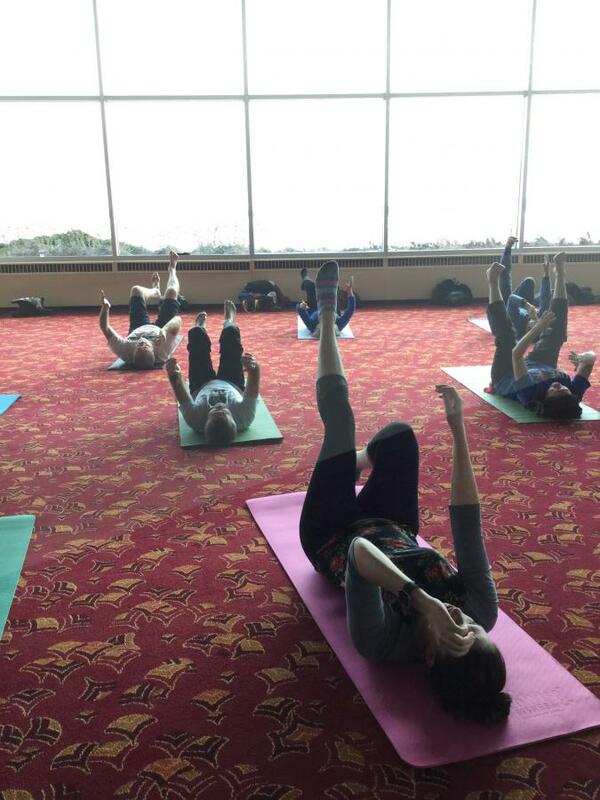 Take a break from the daily stresses of your workday with Lunchtime Yoga! Focus on breathing techniques to help relieve stress and learn useful techniques to navigate the rest of your day. Jill Lundberg’s classes provide the opportunity to cultivate strength, flexibility, balance and ease in the body. You may discover habit patterns that cause tension and muscle imbalance. Identifying and working with these patterns, we can learn to move more optimally during our daily routine and help sustain an active life. All levels are welcome. Please wear comfortable clothing and bring a yoga mat. Jill Lundberg has been teaching Moving Insights’ Alignment Yoga (MIAY) since 2011. She is a registered yoga teacher with the Movement Insights’ Yoga Alliance at the 500-hour level.